1. Stewardship is a year-round ministry. There is a real committee charged with the responsibility for seeing that this is so. It is not called the Every Member Canvass Committee and that activity is only one of its responsibilities. 2. Members of the Stewardship Committee pray often, individually and collectively. 3. Leadership (clergy, vestry, and stewardship committee) lead by example. They are committed to tithing. Commitment to tithing does not mean it is a requirement. It means we will try. It means leaders give proportionately as they work towards the title. 4. Talking about money is expected. This does not mean it will not be difficult. 5. Telling the “story” is one of the program’s primary tasks. It begins with God’s story (inductive Bible study) and proceeds to the stories which come forth from the congregation. 6. 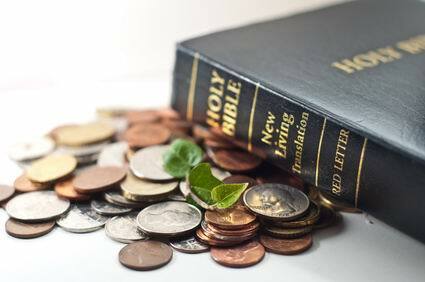 The annual financial stewardship program always includes a training event and training always includes Bible study. 7. The Stewardship Committee meets monthly and includes a brief inductive Bible study as part of their meeting. 8. The line item budget includes 3% of expected pledge income to be used to fund the stewardship program. 9. The Stewardship Committee has a plan. The best case scenario is that it is multiyear (three to five-year) plan which supports the plan developed by the Vestry and is directed towards achieving the mission/vision of the congregation. 10. The Stewardship Committee is intentional about its own discernment of new members. Membership of the committee changes somewhat each year. 11. Training is for everyone. Continuing education for the Stewardship Committee, Vestry and clergy is expected and is provided for in the committee budget. Stewardship involves joyous acts of thanksgiving in response to all that God has given us. Stewardship is about changing lives. Stewardship programs are guided by grace, not guilt. We are God’s stewards. What we do grows out of our relationship with Him. If you’re not talking about Jesus, it probably isn’t stewardship. Copyright © Terry Parsons, 1995. Used here with permission. Permission to copy for church educational use. Please include this notice in all copies. See By Rev. Terry Parsons's website.